Will Bleach Remove Mushrooms Around My Tree? Maintaining healthy trees in your own backyard is a task that requires not just proper timing but also safe and affordable measures. As trees grow older, their defense mechanisms against fungus and other tree diseases also break down. Mushrooms around a tree are an indication that it's suffering from a fungal disease. Knowing how to identify and possibly prevent these occurrences will ensure your tree's health and good appearance. Get rid of mushrooms around trees using bleach. Root rot disease caused by a fungus called Armillaria melea can lead to growths of mushrooms around trees. These mushrooms would generally have yellowish or brownish stalks and honey-yellow sticky caps dotted with dark brown scales. These parasites cause growth reduction, wood decay and death to your trees. They usually attack the lower sections of the trees. The mushrooms that generally emerge out of these tree fungi go by several names, including shoestring root rot, honey mushroom, honey agaric, mushroom root rot, and toadstool disease. 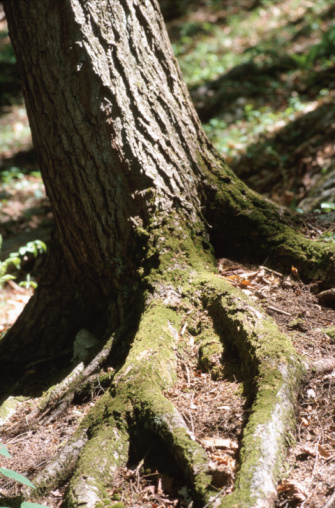 These fungal attacks are a menace to shed and ornamental trees, such as maples and oak trees, as well as other woody plants such as azaleas, birches, sycamores and willows. Roses and several varieties of fruit and nut trees are also vulnerable to mushroom root rot. Use bleach, a common household item that serves many purposes, including weed management, to kill or stop the spread of mushrooms. Bleach is relatively safe to use on infected trees and nearby healthy trees. 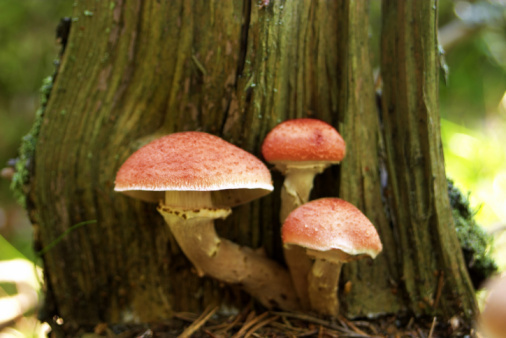 Although bleach could kill or stop the spread of mushrooms, it will not cure root rot. 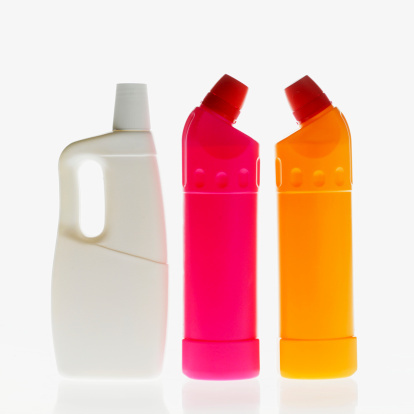 However, bleach can reduce the infection level since it has inherent components similar to chemical fumigants. Unfortunately, armillaria fungi are indigenous; therefore, you cannot eradicate it completely. The best way to address this occurrence is by isolating the infected trees in an effort to reduce its ill effects. 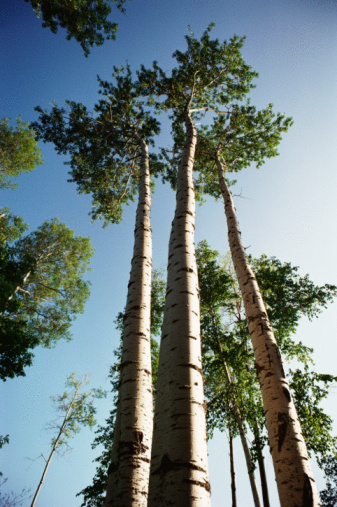 In some cases, killing the infected trees can help prevent the spread of fungi infection to other healthy trees. Bleach can be harmful when not handled properly around plants. Introduce it only in small amounts, preferably in diluted form, to avoid harming your trees. Bleach can affect the mineral absorption of your trees, especially when introduced in large amounts. Large amounts of bleach absorbed by trees can lead to their demise. Avoid spraying bleach near your tree's roots. Do not use undiluted bleach because it can harm your tree and contaminate the soil. Cover other healthy plants, lawn or other nearby areas with tarp or heavy-duty plastic prior to spraying bleach. Dilute bleach by mixing 1 tbsp. of bleach with 1 qt. of water. Use a hand pump or sprayer when applying bleach. Avoid using a water hose sprayer because it can reach other plants that are healthy. Removing mushrooms using a shovel prior to spraying the area with bleach helps prevent future mushroom growths. Rinse the trunk and nearby healthy plants touched by bleach with water.